DEElightful Doings: A Very Foodie Birthday! Just over a week ago I turned 29 (where have all the years gone?) and although I'm normally one for big celebrations with groups of friends, this year was a little different. With a hectic half term at work and plenty of things going on I decided to have a smaller, more intimate celebration- one revolved around great company and of course, great food! A close group of girlfriends and I have a fortnightly 'Tuesday Club' social event which gives us time to catch up with one another over delicious food and plenty of wine, so my birthday was the perfect excuse for an overdue get-together. Lately I have been reading lots of reviews about Soho restaurants and bars and have vowed to sample as many of them as I can! 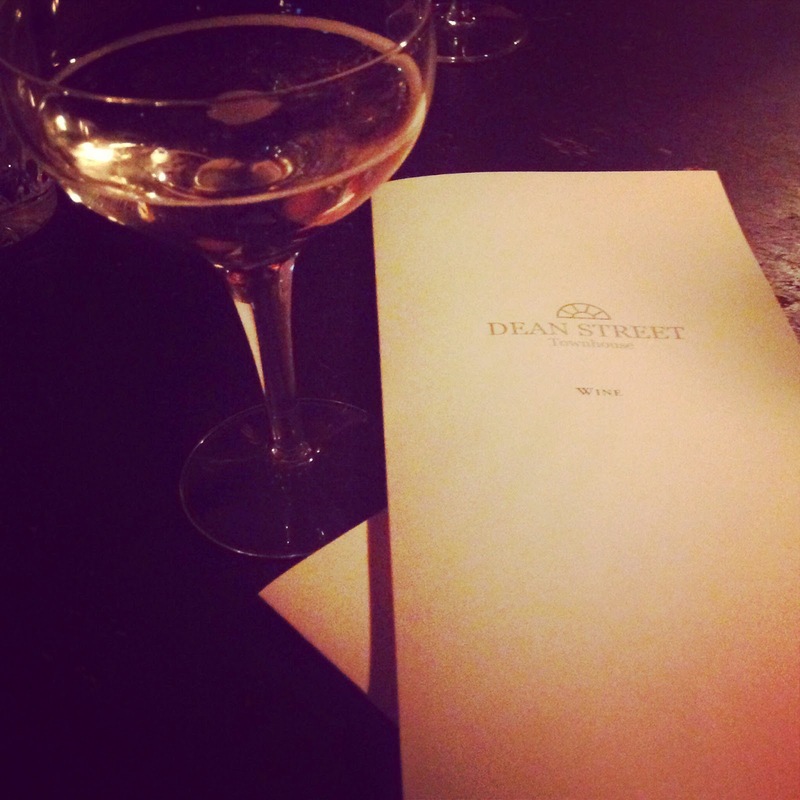 First up for a pre-dinner cocktail was Dean Street Townhouse. With a bustling atmosphere and a cosy setting in the snug, it felt as though we were in the drawing room of a 16th century house! After being treated to a glass of proseco and having the famous Once upon a Cosmo cocktail, we headed out into the heart of soho and onto Brewer street to find a little piece of Italy! Situated on the corner of Brewer Street Mele e Pere has only been a Soho establishment since February 2012, but it has already earned itself a great reputation! 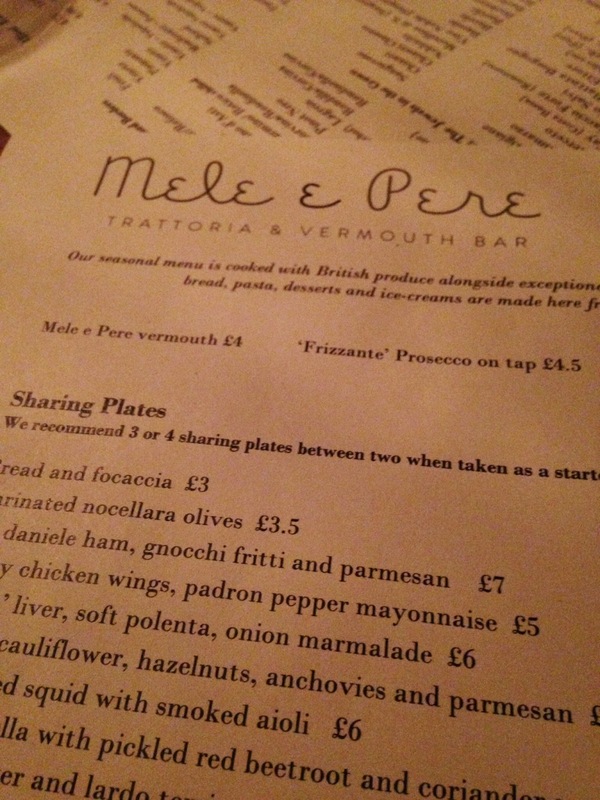 With the aim of being a 'genuine neighbourhood Trattoria' Mele e Pere most definitely brings a taste of Italy to central London. With a small and daily-changing menu of exceptional Italian dishes, I was already in a dilemma! What to have? When I see a small menu in a restaurant I automatically know that the food is going to be of a high, authentic and refined quality, but alas, it makes choosing all that more difficult. 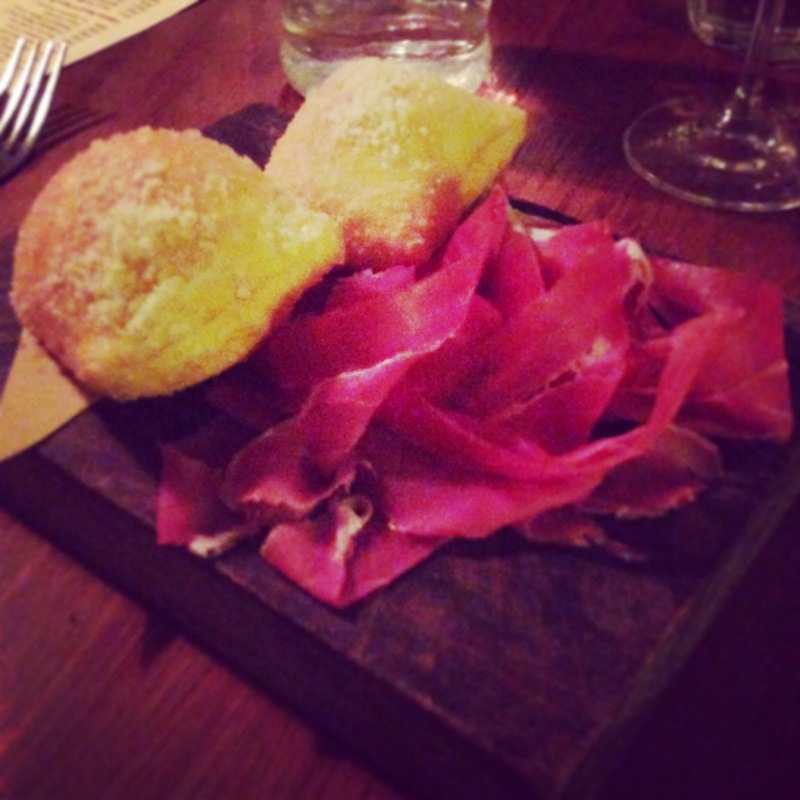 Eventually I decided upon the San daniele (great name) ham, gnocchi fritti and parmesan to start, a choice well made! Next up was main course. Split into Pasta and Meat and Fish, I was toing and froing about what to go for. 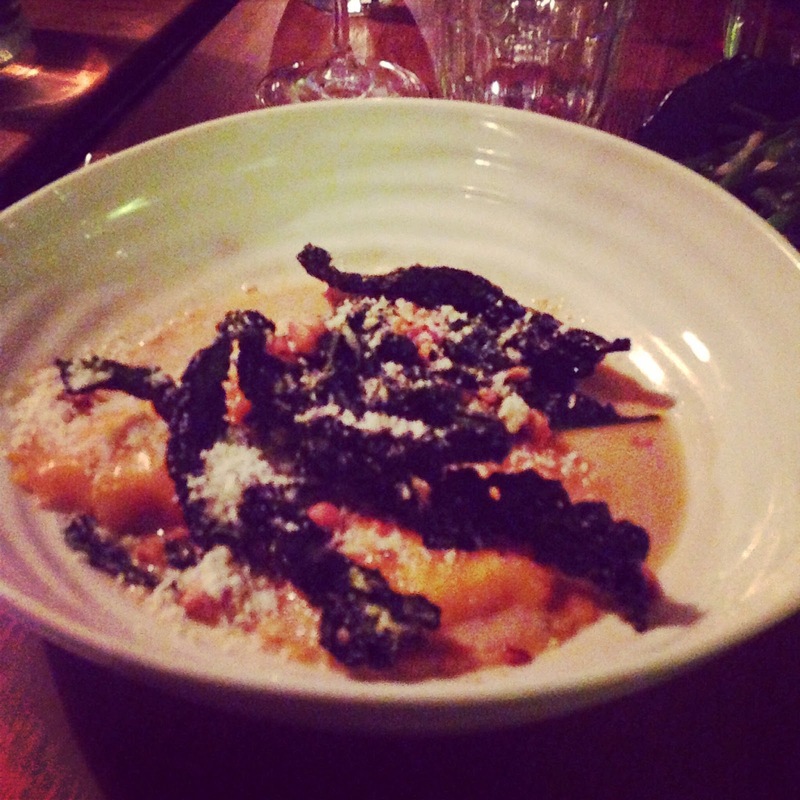 However, with a weak spot for pasta I ordered the Pumpkin ravioli with sage and roasted hazelnuts. One of the things we were really pleased with was the option of two portion sizes for the pasta- it meant there would be room for dessert! Sometimes pumpkin in food can be overly sweet, but this pasta dish had just the right flavour balance. Another of the dishes that I have to mention is the tagliatelle with beef ragu and as much as I loved my ravioli I had serious food envy! Filled with Italian delicatese the night was topped off with a very sweet surprise from my friends! A chocolate birthday cake and a round of Happy Birthday! 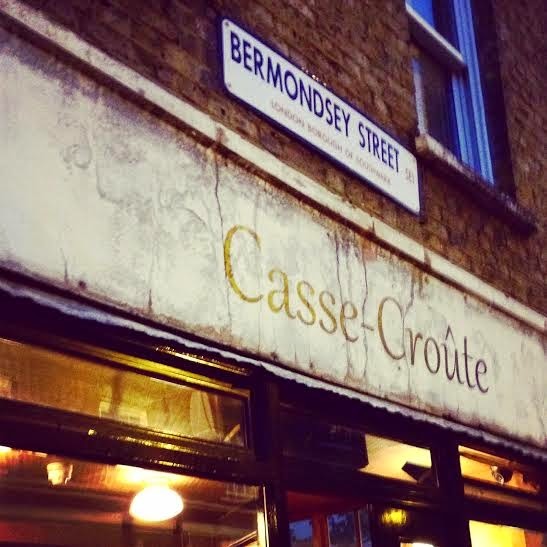 From Italy to France, came birthday celebration number two at Casse Croute - a small, quaint restaurant in Bermondsey High Street. The moment my mum and I entered the restaurant, we felt as though we were in a small French town. 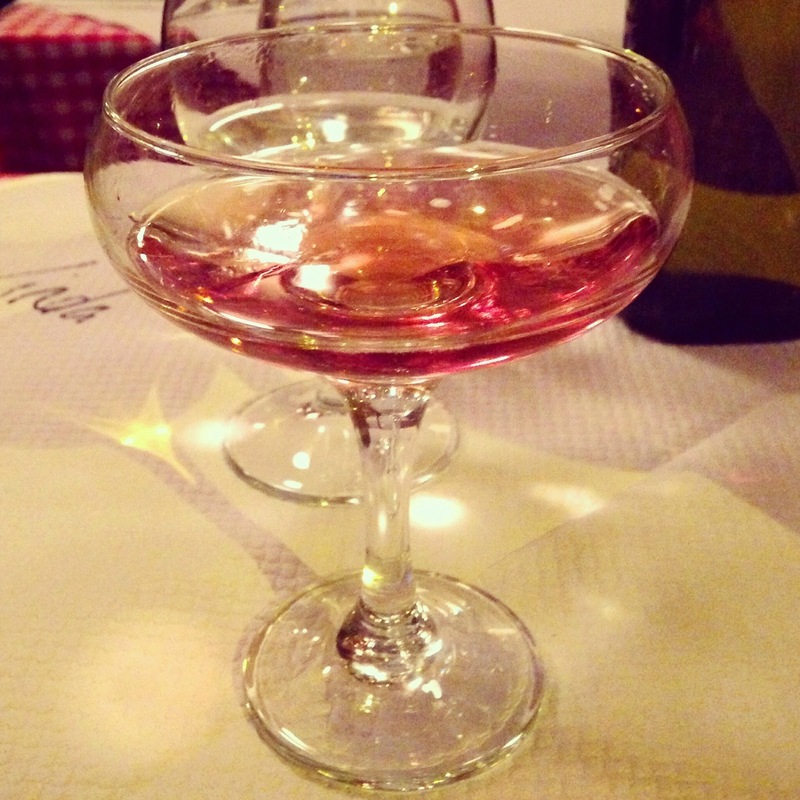 From the French only written menu, to the French wait staff to the beautifully bijou setting, what came next was a love-affair with some of the finest food I've ever eaten! Once the knowledgeable and rather charming waiter had translated the menu for us, my mouth was watering at the descriptions. 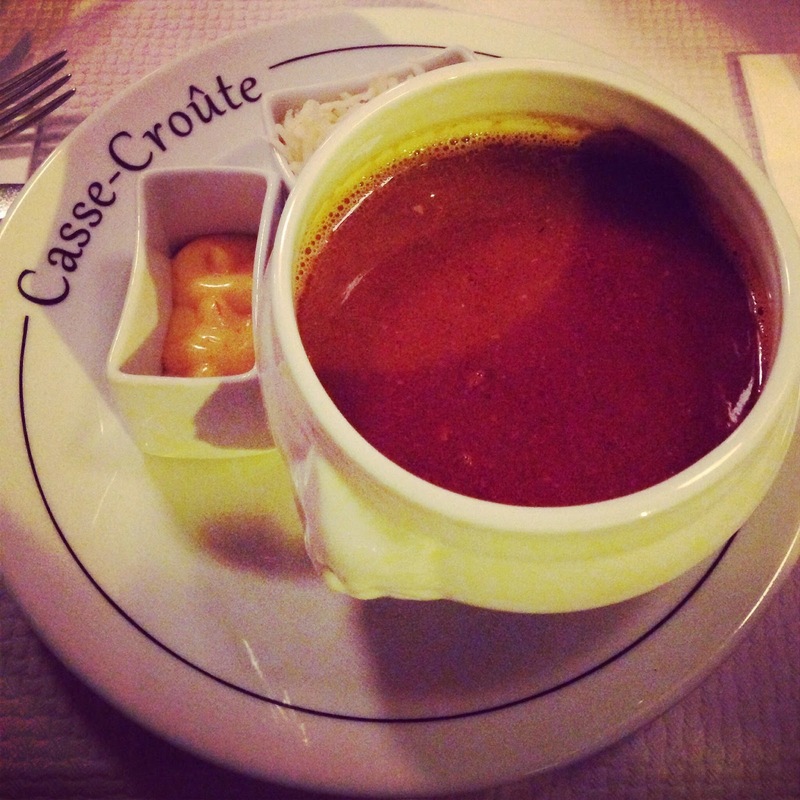 To start I had the fish soup. Served on a personalised plate (just another quirky touch) I was sent to food heaven with the first mouthful. Smooth and rich in flavour it was undoubtedly the best fish soup I have ever eaten. Now to the main and all things pork! The pork shoulder was tender and cooked perfectly. 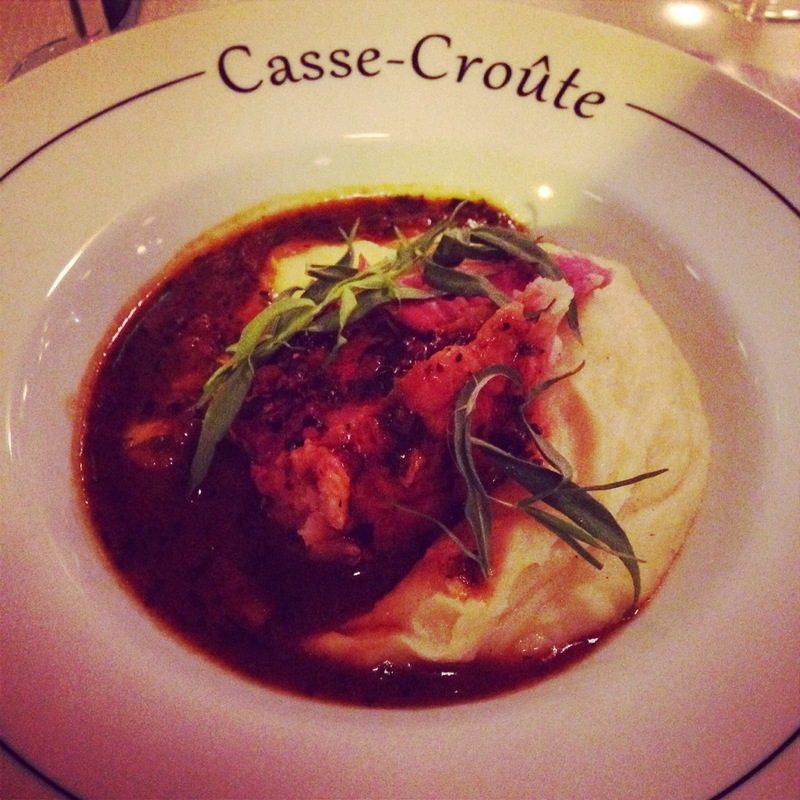 Served on a bed of the creamiest mash potato and covered with a tarragon infused sauce. It was genuinely one of those dishes that, with every mouthful, you utter the word hmmmm over and over again! Although I was bordering on the verge of a full stomach, as soon as the charming waiter described the desserts to me I knew I would have to find room! 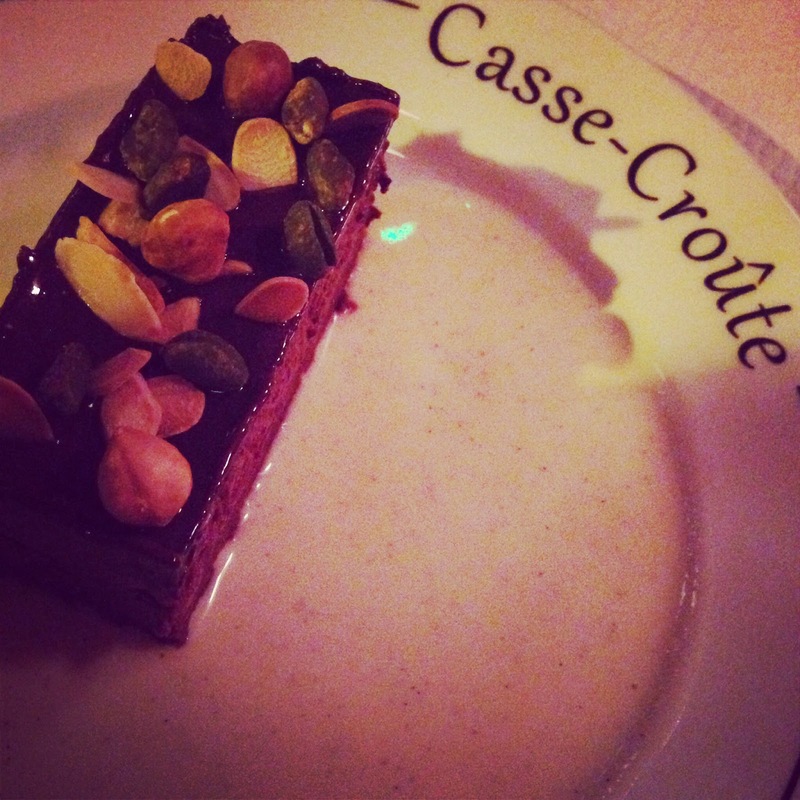 A chocolate biscuit base, layered with chocolate mousse and topped off with tempered dark chocolate and pistachios provided the piece de resistance to an amazing dinner packed with flavour! 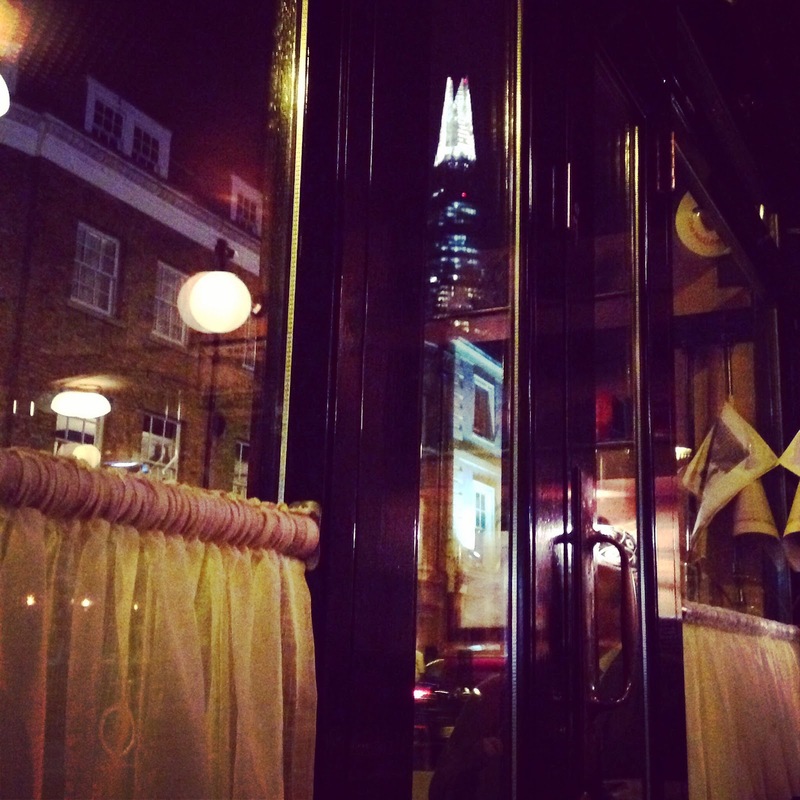 The stunning view of the Shard to accompany quite possibly my favourite dining experience! 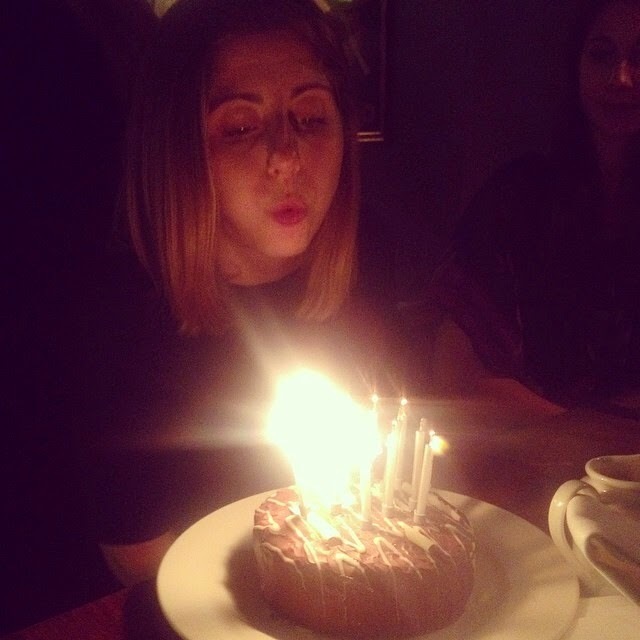 So, it's fair to say that turning 29 was a thoroughly enjoyable foodie experience!